It’s the last week of the year, and that means the onslaught of year-end articles and lists. 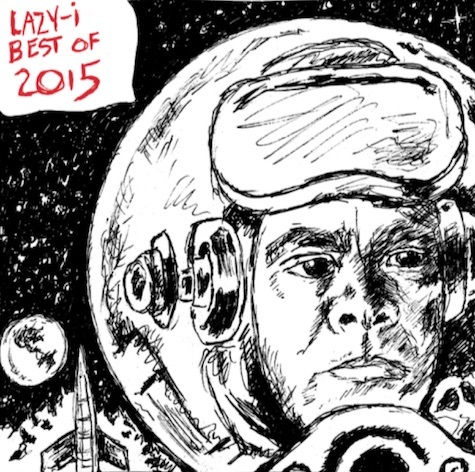 My favorite list of all is the track list for the annual Lazy-i Best of… compilation CD, now in its 21st year. The collection is my favorite tracks from 2015 pressed on CDR for friends and family…and YOU. 20 – The Wait – Tobias Jesso, Jr.
Want a copy? Enter the drawing! I’m making it oh so easy this year. To enter either: 1. Send an email with your mailing address to tim.mcmahan@gmail.com, or 2) Write a comment on one of my Lazy-i related posts in Facebook, or 3, Retweet a Lazy-i tweet. Hurry, contest deadline is midnight Jan. 4!